RFD-TV's The American, presented by Polaris RANGER, is March 2 at Dallas Cowboys' AT&T Stadium in Arlington, Texas. As you read this list and find yourself thinking ‘that's me!' make sure to buy your tickets to RFD-TV's THE AMERICAN, presented by Polaris RANGER, on March 2 at AT&T Stadium in Arlington, Texas. Yeehaw! The largest stadium in Texas and home of the Dallas Cowboys will be transformed into a state of the art rodeo arena for RFD-TV's THE AMERICAN. You'll see it all firsthand during the Fan Zone, which opens to the public Saturday, March 1, and continues Sunday, March 2. One of the most famous rodeo clowns, entertainer Flint Rasmussen, will be on stage at the Fan Zone. 3. You can name some of the top cowboys and cowgirls in the sport. The world's best cowboys and cowgirls will be competing in RFD-TV's THE AMERICAN. Fans will get the chance to meet some of their favorites at autograph and meet-and-greet sessions scheduled during the Fan Zone. Horse lovers will be able to see some of the best horse trainers in exhibits and clinics at the Fan Zone lead by Chris Cox. Cox hosts Chris Cox Horsemanship on RFD-TV and travels the country giving demonstrations and clinics. Watch his show on RFD-TV Tuesdays at 6 a.m. and 1:30 and 11:30 p.m., plus encore episodes on Saturday and Sunday at 2 p.m. THE AMERICAN Fan Zone will feature two stages - Cooper Tires Stage and RFD-TV Stage - filled with music throughout both days. Saturday, the PBR Iron Cowboy gets underway with a performance by Justin Moore. Find out who else will be performing soon! Budding cowboys and cowgirls, ages 4-7, will hold on tight as they see how long they can last on the back of sheep in THE AMERICAN Wool Riding Championship. It'll be one of the first events kicking of festivities in the Fan Zone Saturday. Make sure to get there early to get the kids signed up! Young cowboys and cowgirls will get their chance to compete in Chris Shiver's Mini Bull Riding Tour. Bull riders ages 8-14 will get the chance to show off their skills Saturday at the Preifert Arena. Admission will be free with entrance to the Fan Zone. Cactus Ropes will be hosting King of the Reach Dummy Roping at the Resistol booth Saturday. You can test your roping skills right there in the Fan Zone. 9. 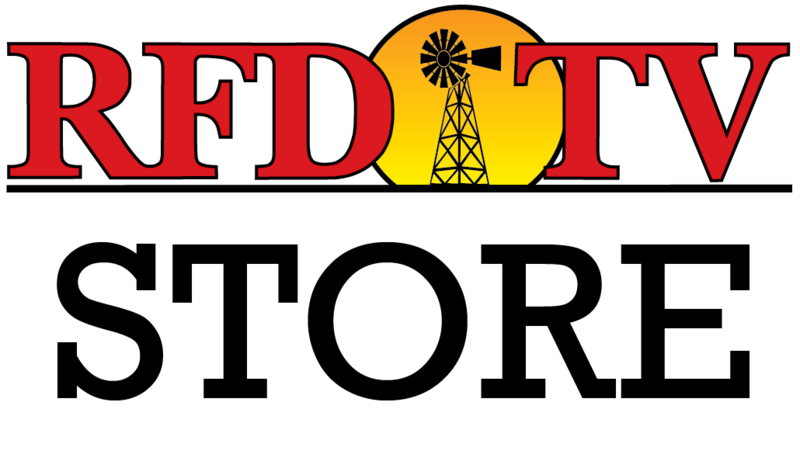 RFD-TV is one of your favorite TV channels. Not only will RFD-TV be broadcasting from the Fan Zone at THE AMERICAN, but you'll be able to meet some of the stars from your favorite shows. Hosts and stars from shows like "All American Cowgirl Chicks," "Gentle Giants," and "Small Town Big Deal" will be on hand in the Fan Zone, greeting fans. Tickets are still on sale for THE AMERICAN. If you haven't bought yours yet, prices range from $20 to $150, before taxes. Click here for ticket information.